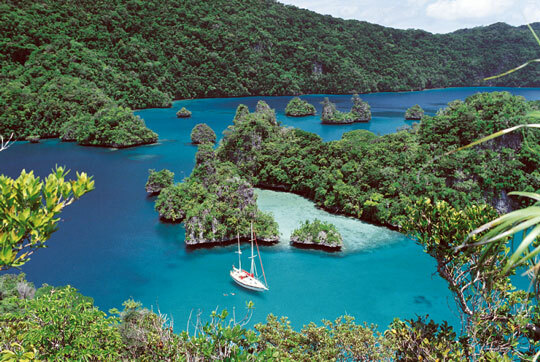 Named after the famous Captain Bligh of The Bounty, the Bligh Waters are a stretch of sea that separates Fiji's 2 main islands of Vanua Levu and Viti Levu. Although there area few resorts scattered around here and there in this large area, it is really the domain of Fiji liveaboards. There's a great amount of water moving through this channel and this means incredibly nutrient-rich waters, especially where the channel narrows. This local bounty feeds huge numbers of smaller fishes, which in turn feed the larger fish. 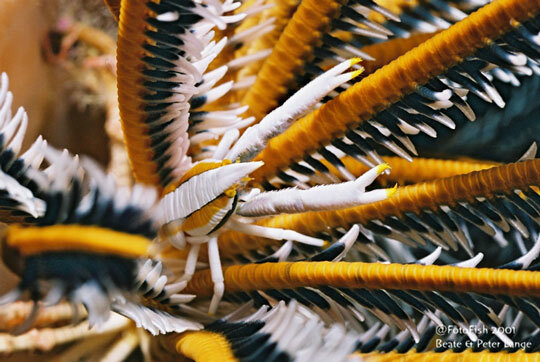 You can be there to dive and watch this extraordinary interplay of ecosystems in the Koro Sea. 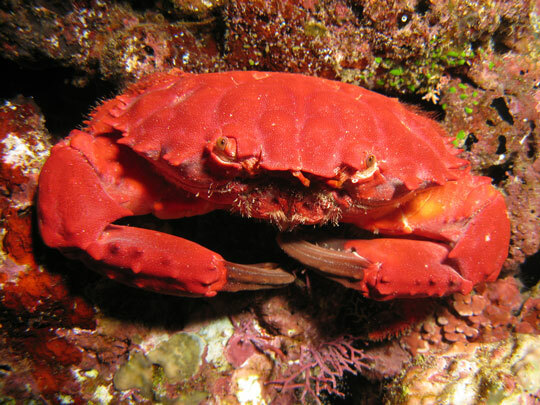 Due to the strong currents, not all the dive sites in Bligh Water and the Koro Sea are particularly suitable for beginners, but the reefs, which were once considered treacherous obstacles to sailing vessels in days gone by, are now the modern playground of experienced scuba divers, particularly photographers, seeking pristine conditions and uncrowded sites. The tip of the huge pinnacle rises up to less than a metre below sea-level and has its base at some 900m+. This occurs in the narrowest section of Bligh Water at Lomaiviti, the stretch of sea between the 2 big islands of Viti Levu and Vanua Levu. As if designed by a diver, this therefore means that the seamount is positively flushed with nutrients so has become a base for a spectacular marine ecosystem. By day you will likely encounter big pelagics - schooling barracuda, hammerheads, eagle rays and big schools of fish where the current runs. On the leeside there are soft corals and fans all over the pinnacle. You can swim into the Cathedral, a huge swim-through where sunlight filters down from above bringing colour to the gorgonians and sponges that festoon the walls. Underwater images from the Cathedral can be truly divine. By night, as you prepare on-board for your dive, you will be delighted to be visiting this site a second time, and so you should. Of course it all looks amazing at night with all manner of Bligh Water crustaceans coming out to play, including several big lobsters and adorable arrowhead crabs. However the most outstanding aspect of a night dive here and undoubtedly the most memorable, is the awesome sight of the green lights of the numerous flashlight fish. Hold your light to your chest here and what you see as you hover in warm, black water will take your breath away. For those chasing the big boys, Koro Island's Shark Fin Point is probably the best bet. When the tide is running, here on the north east side of the island this site can be a great drift dive which will gently take you past all the action. 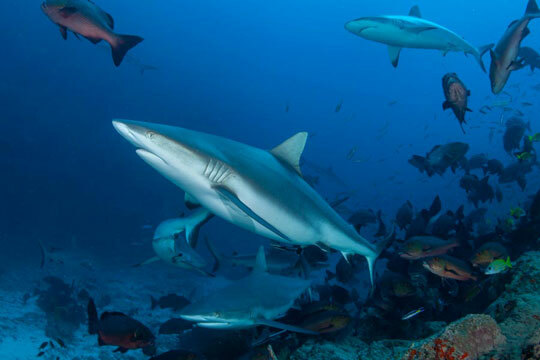 As you are carried on the current you can expect to see a huge school of barracuda as well as eagle rays, white tip reef sharks and plenty of grey reef sharks. Whale sharks have even been spotted around Koro Island but such sightings are rare so we wouldn't get too excited about the prospect of seeing the biggest fish in the sea. Colours abound at Shark Fin Point where all the substrate seems to have been colonised by hard and soft corals around which dart all manner of reef fish such as parrotfish, fuseliers, angelfish and butterflyfish. 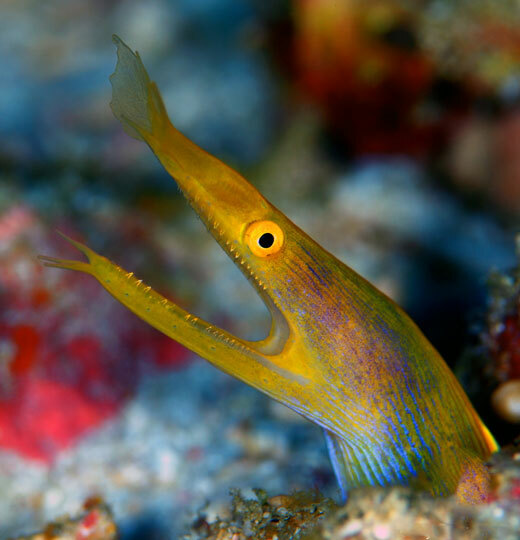 You can also look out for moray eels, and crustaceans such as shrimps and lobsters on this sometimes idyllic drift dive around the beautiful Koro Island. Descending slowly, the shape of 3 bommies will appear from as shallow as 3 or 4 metres down to about 25 metres. The nutrient-rich currents that sweep in and around these 3 pillars mean that there is plenty of life gathered here. Regardless of your dive group size there is always enough room to find a quiet place to explore. If you take your time investigating all the fissures and features of the bommies you will see among the hard corals, soft corals and anemones any number of interesting reef inhabitants such as black saddle coral groupers, nudibranchs, brown banded pipefish, hawkfish, scribbled filefish and swarms of anthias. In the trenches between the bommies look out for resident barracudas as well as maybe some dog-tooth tuna in addition to the grey reefs, white tips and silver-tip sharks! Below you on the ocean floor you can see the long flimsy bodies of dozens of garden eels rising up from their sandy burrows. In many ways Keenan's typifies what you can expect from the dive sites of Namena in the Koro Sea. As with many, this is a pinnacle dive where the seamount rises from around 30 metres from a sandy sea floor and has a million and one things going on if you can take your time to check them out. 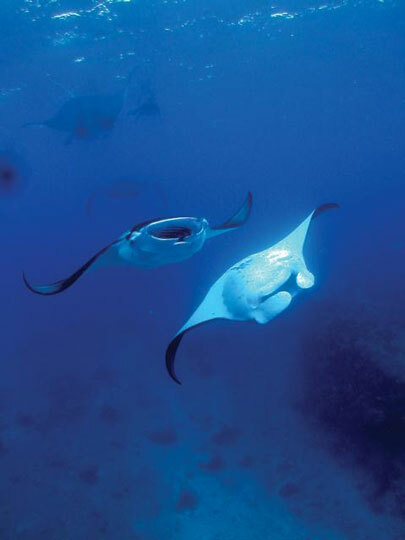 On your descent keep an eye out for mantas in the blue as they are known to regularly sweep past this area. Keenan's is quite a narrow pinnacle so you work your way around it several times in an ascending corkscrew profile. 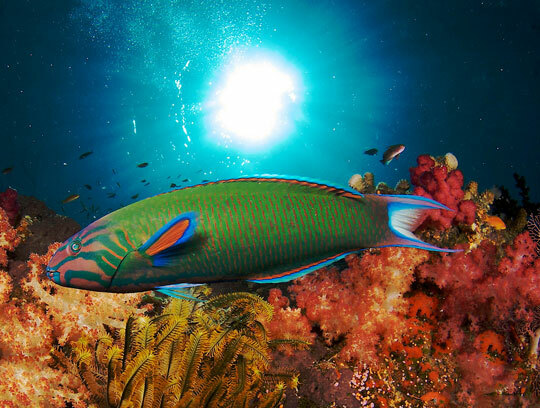 As you might expect from scuba diving in the Koro Sea at any of the sites in the Namena Marine Protected Area, the pinnacle is a picture of reef health and vibrant colours. 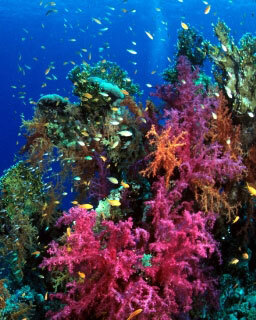 Sponges and soft corals abound in a riot of colour and full bloom to feed on the passing nutrient-rich Koro Sea. Look out for nudibranchs in and among the sessile creatures especially, the delightful Chromodoris Lochi. Blue streak fusiliers dash around the reef and anemones sway their fingers back and forth as their anemonefish and shrimp tenants perform as if to entertain you. Take your time to explore every area for Durban dancing shrimps or other cleaner shrimps that may scurry onto the exposed flesh of your hand to pick off minute parasites. Look out for the grey damselfish performing mating rituals by shuddering their flattened sides against areas of the reef they consider appropriate as a site for egg protection. 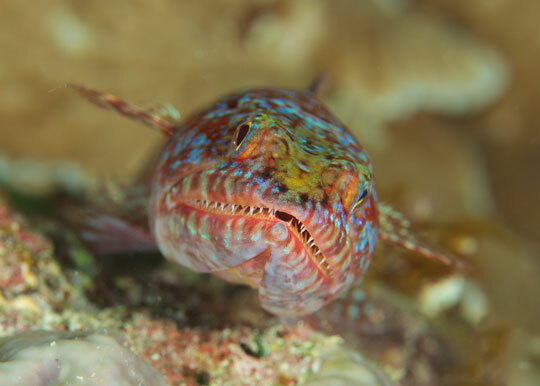 You may also find moon wrasses nipping at anything bright and reflective on your scuba gear such as a watch or pointer, their playfulness a joy to behold. As with other sites in Namena you will end your dive in a shallow coral garden of immense colour and beauty, probably moving back and forth with the surge as the never ending story of the Koro Sea carries on while you surface back into air. 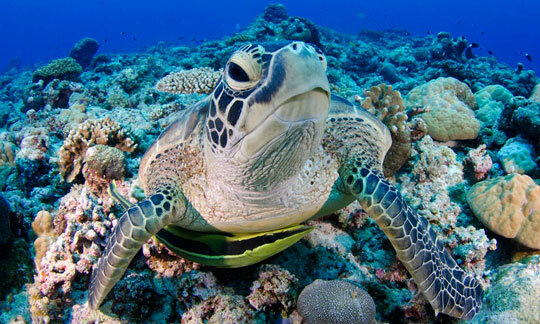 North Save a Tack is one of the places that places Fiji firmly on the map of the world's best dive destinations. 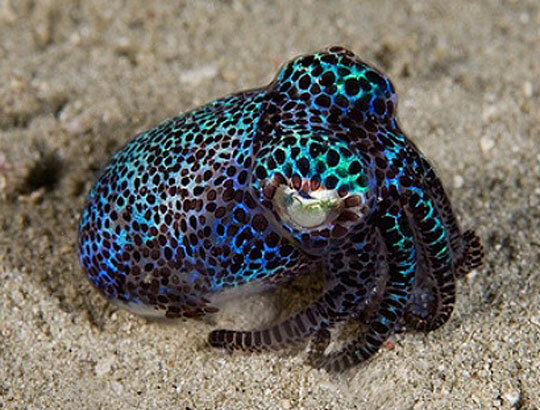 Any country would be proud to call such a rich and varied dive site their own. 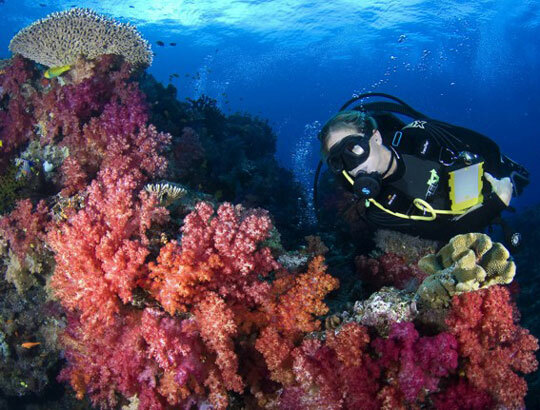 In times of old, sailors could use the pass here to avoid tacking around the island and reefs of Namena, and it now represents an area of the South Pacific which discerning scuba divers treasure. Your dive will start as a descent to the top of a wall at about 25 metres. If the current is running then you should drop over the lip of the wall to 30 metres or so to lessen the effect of the Bligh Water movement. You'll make your way along with the wall to your left shoulder and before long you will see in the blue a huge school of jacks followed swiftly by the appearance of an even huger school of yellowtail barracuda. Expect a few grey reef sharks to also put in an appearance during the early part of this dive as they patrol the reef wall. After 5 to 10 minutes of this excellent action you will turn left to the reef flat on top of the wall, which consists of a sandy floor with patches of coral. If you are in luck a manta ray from the Koro Sea may put in an appearance here just to complete the large pelagic line up. There may be some black pygmy seahorses living on this reef flat and it takes a keen and patient diver's eye to locate them as they live, not on gorgonians, but in among the small sea grass. 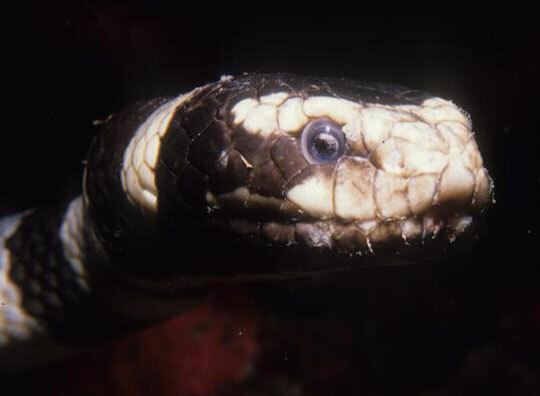 Nearby there is a channel between 2 ridges, both covered in benthic life and imploring you to explore them, and it is near this entrance where a school of chevron barracuda may surround you. 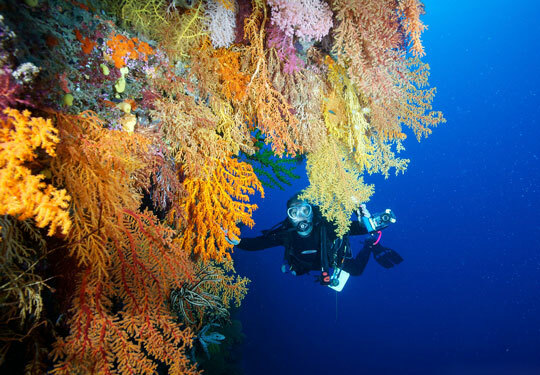 As you make your way down this channel, a large natural archway appears with abundant growth covering its entirety in the form of bushy black coral, gorgonian fans, and various hues of dendronephthya soft coral including pink, orange and blue. Look out for the multitude of crinoids here all of which seem to be home to a cling fish, and either a shrimp or squat lobster. There are also several nudibranchs found on this site including those of the flabellina species. Towards the end of this dive you will find yourself studying various nooks and crannies in the reef, the most spectacular of which is the 'Window of Dreams'. This densely covered natural 'O' shape in the rock has a multitude of colour and is a favourite spot for photographers, often being the subject of promotional images for diving in Bligh Water. You can off gas at the top of a pinnacle which has a wonderful amount of activity going to to keep you entertained. 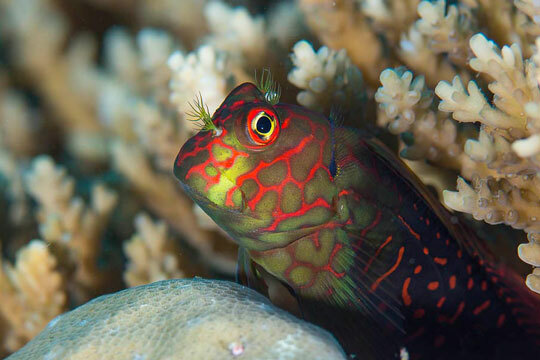 Look out for anemones with their resident anemone fish, both of the pink and Clark's variety, as well as moon wrasses, hunting jacks and unicornfish. A many layered, always fascinating and forever memorable site. Reliable operators such as those we recommend will show you this fabulous Koro Sea site at its very best when it promises up to 25 grey reef sharks, big schools of trevally, barracuda, snappers and red sea bass. You may be drifting past all these fish hanging in the current and if you are lucky you may even be treated to eagle rays, manta rays and hammerheads!. As you come to the end of your drift you will finish up in a delightful cabbage patch where the current weakens and allows you to get your breath back after what is, more often than not, an exhilarating dive. The dive begins by dropping down onto a section of the wall at about 10 metres or less, and as you proceed you will likely be leaving the wall to your left shoulder. The top of the reef is a sort of plateau around 12 metres during the early part of the dive, and the wall drops to around 30 metres where there is a slope down into the abyss of the Koro Sea. The plateau and the higher sections of the wall are home to plenty of hard and soft corals in a multitude of colours, and there are times when you are met with so much incredibly beautiful scenery that it can be a photographers dreamland. If there are many cameras in your group, those scuba divers may not get past the initial area such are the vibrant patches of reef. Many think your main concern will be your choice of lenses as both macro-wonders and impressive pelagics both compete to grab the headlines. It pays to have at least 1 diver scanning the Koro Sea blue as the rest poke around in the wall. 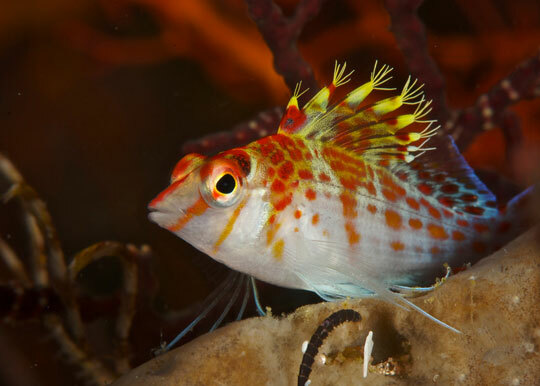 Leaf fish, ribbon eels, fire gobies and dartfish, including the decorated variety and the common elegant dartfish, have all been spotted regularly. As the wall decreases in height it allows you to then swim away from it to the right over a large sandy area which features a few rocky outcrops and coral heads which have their own character; but here you should be on the look out for some bigger stuff. Barracuda in schools of up to 60 are frequent visitors, as are whitetip reef sharks and even hammerheads. 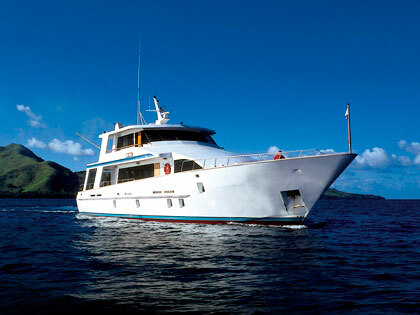 For more information on your diving options, and all the other travel information you might need to visit the Koro Sea and Fiji, view our Fijian liveaboard section. Although it is the domain of the liveaboards, the diving cruises we recommend follow different itineraries so check which suits you best from the following top quality options. 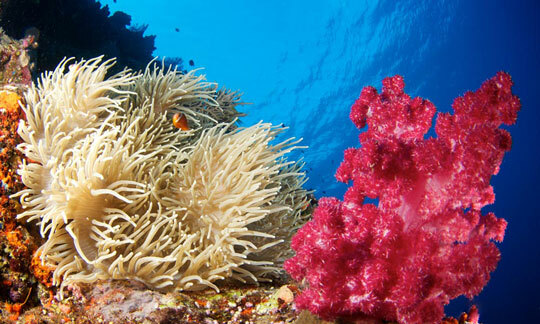 We have Fiji dive safaris to Bligh Water, Wakaya, Gau and Koro and Namena Islands. 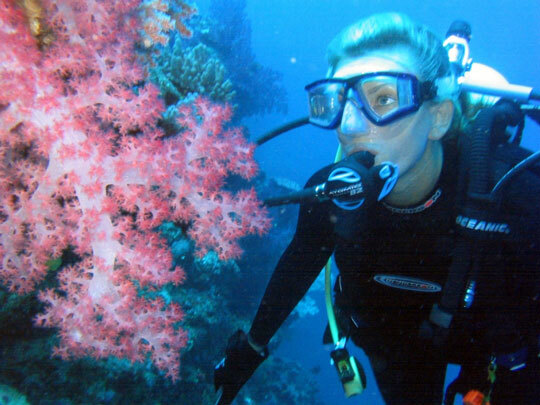 Alternatively you can dive some of the Bligh Water spots near RakiRaki, including E-6, while staying at Volivoli Resort in northern Viti Levu, or simply join our Rakiraki daily dive trips. 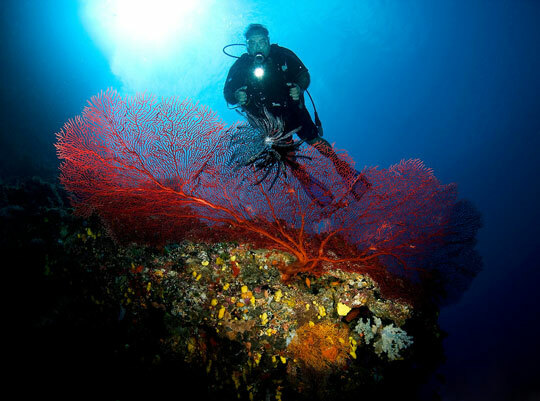 There is year round scuba diving throughout this region. 20-40 metre visibility and temperatures between 27°C and 29°C can be expected during October to March. It is this time of the year when the surface conditions are at their most calm and when liveaboards can reach the more remote dive sites which may not be possible at other times of the year. Visibility can drop off a little at this time (15 to 25 m) since the warmer water encourages plankton blooms, but this is not all bad news since these attract plankton feeders like manta rays and whales. Stunning visibility in the range of 30-40 metres, and cooler water of between 22°C and 26°C, are likely during the April to September period. 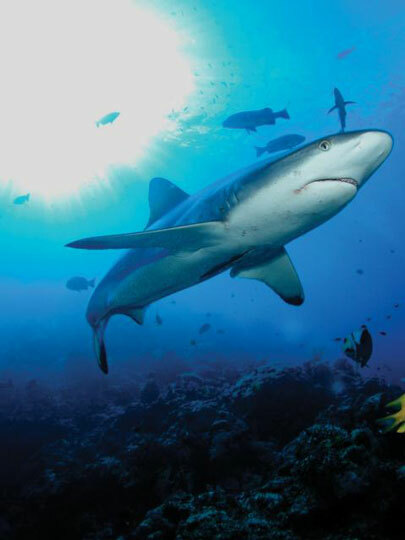 Sharks, Spanish mackerel, dog-toothed tuna and barracuda can be seen on the reefs of the Koro Sea throughout the year. Where is the Koro Sea and How Do I Get There? Review our map below of the Fiji Islands, showing the location of Bligh Water and the Koro Sea. Here, you will find information on how to get to Viti Levu, from where you will transfer to the region.